Hamad International Airport is an international airport currently under construction in Doha, capital of Qatar. It is being built 5 kilometers east of the current airport. The current airport witnessed a high growth in passengers and cargo levels in recent years, and its terminal suffers from over-crowding. This rapid growth was mainly brought by the fast expansion of Qatar’s state airline Qatar Airways. Other growth came from the booming economy of Qatar. 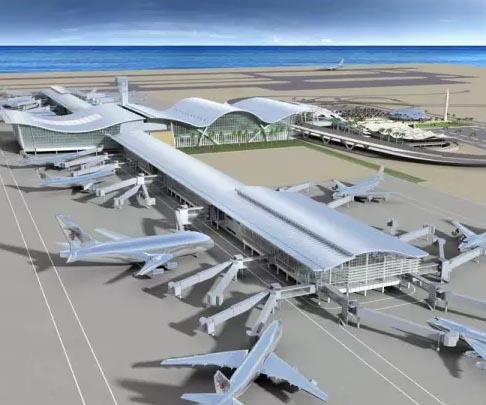 The airport will be built over 22 square kilometers, half of which is on reclaimed land. Construction is in 32 phases. Upon completion, it will be able to handle 50 million passengers. It is also expected to handle 320,000 aircraft movements and 2 million tons of cargo annually. The airport will be equipped with heat and occupancy CO2 sensors, and the roof will be tinted to conserve energy. Our scope of work : Supply and installation of Dock Levelers.